Bring back nostalgic memories of those days on the beach when you were a kid and Mom made you wear a hat. This classic design recaptures those special moments. The hat is made from heavy brushed cotton, a fabric that is ideal for keeping the sun off your head and keeping you cool at the same time. It washed extremely well and will never shrink or fade. Use cool or lukewarm water, rinse by hand and allow air dry. 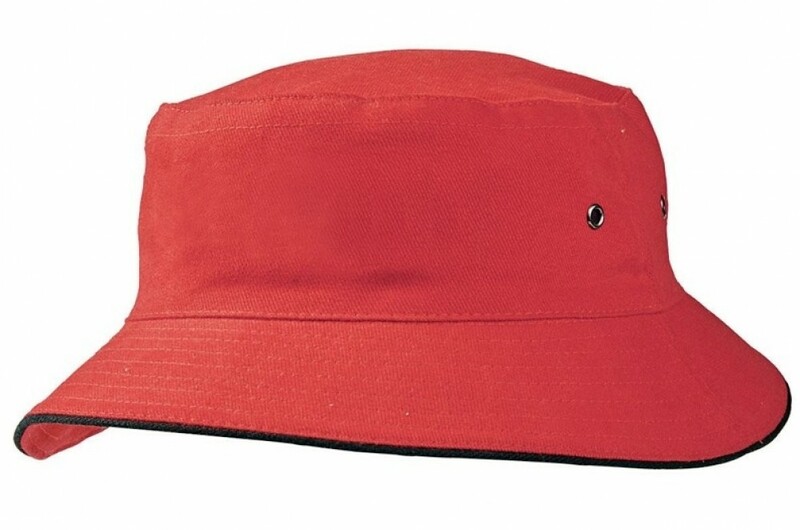 For promotional purposes, the hat comes in a huge range of colours with a stylish contrasting trim around the brim. A inbuilt brushed cotton sweatband makes it even more functional and comfortable to wear in hot weather. Offer these hats to clients who attend your sports days. They are also perfect for school and college events and make great give-aways at conferences and team building occasions. The hats are manufactured to the highest standards with meticulous attention to detail in the stitching and construction. Direct full colour print and transfer printing options onto this headwear is available upon request.